Paid $5,000 a month by an industry association of CBEs, his goal in making the claim was to get the court to overturn a law that makes it illegal for pet stores in Grove City, OH, to sell puppy mill dogs; the law requires pet stores to work with rescues and shelters to adopt out rescued animals instead. But what does the science say? Are shelter dogs dangerous? And are puppy mill dogs behaviorally sound? The answer of course is No and No. Given that far less than 1% of pet dogs bite people, the conclusion is inescapable: shelter dogs are not dangerous. In fact, looking at bite rates that require hospitalization, only 0.001% of dogs (or roughly 1 in 10,000) bite with enough force to cause an injury. Over the years, I have rarely seen a truly ‘aggressive’ dog. The vast majority are simply scared. I was speaking with a Board member for a shelter on the West Coast last week and she said that her shelter saves 96-97% of the animals and that 3 or 4% are dogs who are aggressive and need to be killed. In my experience, the percentage of truly aggressive dogs I have seen in small to very large shelters is well under one quarter of 1%. Sayres’ claim that dogs in shelters are “damaged goods” is, therefore, demonstrably false. But research into dogs used by CBEs shows the opposite, that in fact the victims of these operation (while each a unique and precious individual and by no means “goods”) do in fact show deep psychological scarring as a result of the trauma they experience at the facilities Sayres now champions. His claim that the CBEs he represents have nothing in common with puppy mills is also false. Not only do all large CBEs fit the dictionary of puppy mill, but a study published in the Journal of Applied Animal Behaviour Science found that “Common to virtually all CBEs are the following: large numbers of dogs; maximally efficient use of space by housing dogs in or near the minimum space permitted by law; housing breeding dogs for their entire reproductive lives–in most cases, years–in their cages or runs; dogs rarely if ever permitted out of their primary enclosures for exercise or play; absence of toys or other forms of enrichment; minimal to no positive human interaction or companionship; and minimal to no health care.” In short, the breeders the former CEO of the ASPCA now speaks for are puppy mills in the broadest sense of the word. In layman’s terms, CBEs engage in systematic neglect and abuse toward animals, causing severe emotional scars on the victims. The former breeding dogs living with those scars are a testament to that fact. Not only do one in four have significant health problems, many of them are psychologically and emotionally shut down, compulsively staring at nothing. As I have said over and over again, when there is profit to be made on the backs of animals, those backs are strained and often broken. And given his sordid history at the ASPCA of fighting progressive animal protection legislation that would have saved tens of thousands of animals every year, it is little wonder that they found such a willing spokesperson as Ed Sayres. 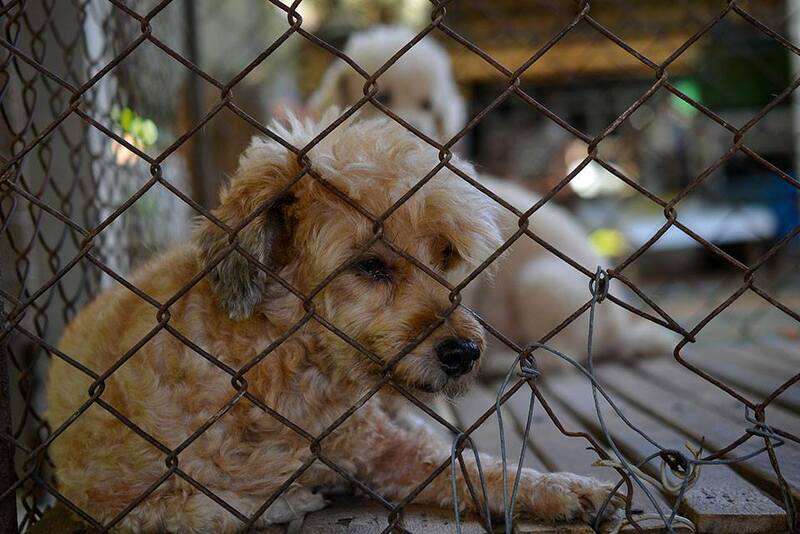 Sayres affidavit to the court stating that “there is no connection between [puppy mills…] and retail pet stores” is, in my view, akin to perjury. And it harms dogs. The abusers he protects should be held accountable. The dogs whose abuse he denies deserve our care and protection. It’s well past time to shut the entire system down.